One of Patterson's best book ever written I'll say... The past and forgotten memories are slowly revealed..
Really great read with plenty of twists and turns. 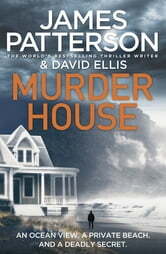 Enjoy another fantastic book from James Patterson. Can't wait for the next book. Well scripted so u can't put down the book until you finished reading the last page. Amazing what happens when you grow up in a town and continue to live there for the rest of your life and how people perceive you because of your upbringing.